With over 10 years of experience we’ll ensure you always get the best guidance. Who all can benefit from the training imparted by you? 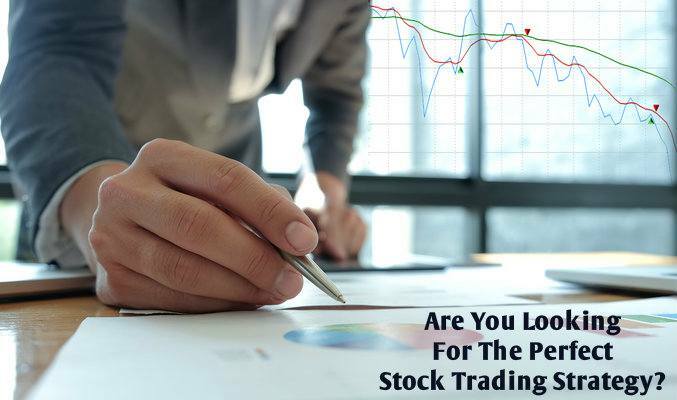 Anyone, with an aptitude to successfully trade the stock markets, can be benefited by our training courses. Do you offer individually tailored reports for trading? Yes, as part of our consulting division, we provide customized reports on the scripts of your choice, to facilitate your decision making. How are the trainings imparted? The trainings are imparted through a web meeting. Details of the same will be given after registration. Only a computer with a decent internet connection is required. Instead of predicting the market, we aim to understand it and then streamline the information with technical charts, past performance and future “breaking news”. 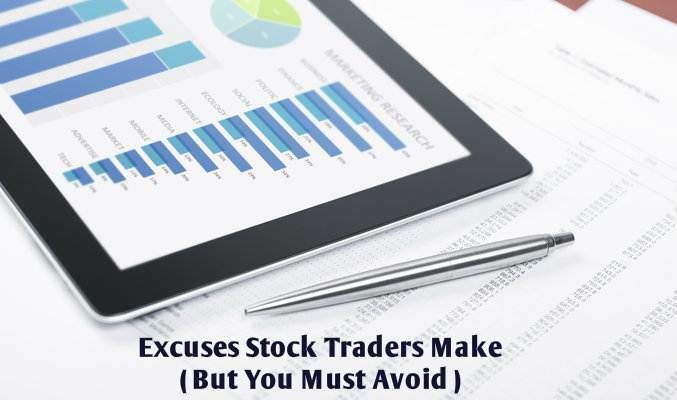 This helps us hit the chords perfectly in concluding buying or selling action, identifying an entry point and spotting the best stop-loss position. The result? Our clients enjoy big profits. It was great webinar sir. I learn new strategy. yur 1st Strategy is much more capable of replacing my whole system at least for intraday. I m looking forward to replace my intraday strategy with yur 1st strategy after some research with this I will replace my 3 indicator with yur 1 indicator. Thanks for such a great Webinar. I know Bharat for more than 3 yrs Now , the biggest asset he has is the kind of in depth knowledge he has in Technical Analysis. Being Trained By World renowned Traders , he has gone past them expanding the Knowledge to next level . If you are Really “serious” about Trading , learning technical Analysis. I Can bet No body comes close to him . Integrity (grit included) is rare to find in modern world. Bharatji remain religiously integrated with his tools and have eventually learnt the art of defeating the waves of emotions that shatters the trading plan of the so called “pro traders”. I admire his unparalleled blend of passion, discipline, and humility. Wish him great success. This will perhaps be one of the best learning opportunities on BB one can ever get in India.If you’re anywhere close to trading in financial markets and you’re not learning from Bharat Ji, you’re missing a Goldmine. There may be thousands of courses on technical analysis, but the kind of perspective ull get here would be unparalleled. I will be true to you. Been studying rsi since 2014. Application strategy everything. But practical experience I needed coach. I have been blessed with few great coaches. One of the wonderful coach is you. Thank you for the guidance and training about charts. I am able to work with 50+ chart daily now. Ur push and move helped us move in the right direction. It was nice session sir so much insights i get frm it. Before this session i saw charts like no voice means i have bow and arroow also tgt but direction were wrong. now frm today i can say i have indicator charts and all things but best is i have right direction..
Also want to say.i am happy to have mentor like u. a guru a friend a colleague ????????????. I ve known Bharat for past 7-8 years as a very good friend. Even during our casual meetings, he would talk about markets especially wrt technicals. And I would respect his thoughts. My reverence increased when i found him taking serious interest, he has completed CMT, and then he mastered in Technical Analysis . And now I feel proud when I find him giving professional service. In his service, he not only ensures earning but learning as well. I vouch for his technical expertise in full. Anyone interested in learning technicals and earning through it, pls get in touch with Bharat. Heres as a fellow trader and a dear friend, I wish Bharat all the best in his future endeavors.. I couldn’t stop writing this email to you. Yesterday I attended your session on intraday trading. I am a small time trader and today I applied your Open range breakout method to Maruti. I made 7200/- in 2 hours. It’s not that I am making this big money for first time. Earlier also I had made bigger money than this, but earlier it was like a gamble. Today’s trade in Maruti long was very calm, I was confident, I knew what I was doing, I knew my aim, I knew how much I am ready to loose. I was with the market trend. It was not at all a gamble. I would like to thank you for sharing with us such nice strategies. I am positive that slowly I will recover my 5lakh+ of losses which I have made in past 5-6 years of trading. Hi Sir, I am one of your old followers and subscribers. Never seen a analyst like you. You have an amazing hit rate! Your services have helped me to recover my years of losses! Watching you trade is like watching Roger Fedrer play!! Seriously the way way you use RSI, is amazing! I watch the TV analyst and feel how deceiving and ignorant they are! I am happy to be associated with your group. I wonder when these TV Channels will invite honest and hard working analysts like you. I really wish to see you on the screen now! I am sure… once you take the centre stage… many “so called analysts” will have to sell their offices up! Keep Rocking Sir! Hello sir , I m just writing this after your pit session.Sir you r doing really a wonderful work. I must admire you for your efforts and hard work to explain the market.Your recommendation for trades are so nice and realistic too.I always will like to join in your all webinars and pit sessions. It has been a great experience of dealing with the PIT team so far . Uncluttered charts , precisely explained. Bharat and his team are doing a wonderful job of mentoring and helping people pay their bills. Couple this with a very high strike rate and a bare minimum service price this service is a must have. With Bharat as my trading coach, I have extensively changed my trading approach. I now see myself more objectively. In the past, a distorted image prevented me from identifying areas that warranted improvement—a major stumbling block in my trading growth and development. Bharat quickly uncovered the problem and provided the tools I need to understand how to perceive trades. With my newly honed skills, I can adjust my actions and modify my trading for increasingly positive results. These indispensable lessons will serve me well as I continue to climb the trading ladder. Working with Bharat was an experience that I will always look upon as transformational. He listened, foremost, and helped me identify the challenges I was having. The difference maker was that he knew how to help me address them in a methodical way, and showed me the tools to continue on the path to greater success. You can read it all in books, but Bharat can help you put it to practice. If you have to ask why you need a professional coach, then you’re asking the wrong questions. First of all, I am very thankful to the God to introduce Bharat sir. I have attended many TA classes but absolutely waste and was vexed and I decided to quit from the market. Finally, I got the chance to learn from Bharat sir. The training was interactive and easy to grasp. My perspective of analyzing the charts/markets has changed completely. It was really amazing learning and unthinkable result oriented. Now I am more confident and practicing a lot by reading many charts and it helps me to earn as well with good risk and reward ratio. Thank u sir for sharing the knowledge in an easy way and still supporting me. I am also part of #ThePit, a great trading concept with live follow through by Bharat sir and the success rate is really amazing. I suggest everyone to be the part of #ThePit to learn and earn consistently. I Subscribed Bharat’s Trading Room ‘ THE PIT ‘ from JAN 17 , Is the Only Authentic Chart Reading With Trading Set ups Discussed With Proper Entry Point , With the market Set ups and Current Scenario View. I Am trader since 10 + Years …Tried Subcription With Many Well known Analyst thorough out India. 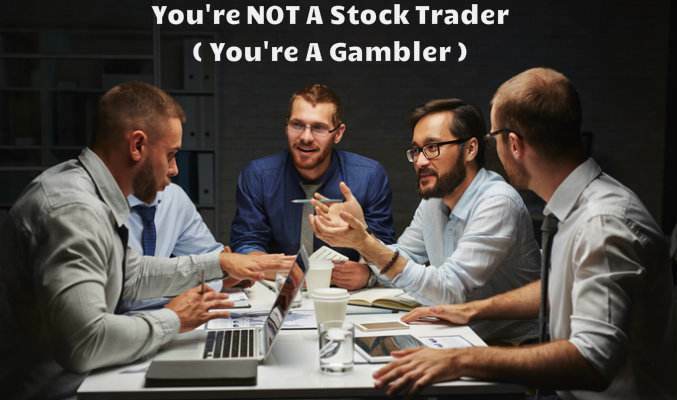 No One Matching Like Mr ,Bharat J , Analysis About Set Ups with Logical Concept..With very Simplistic Approach and View about it …It Give Tremendous Confidence And Clarity To Take Trade ….I Suggest , Every Trader Must Experience the Strike Rate Of Trades ,And Piece of Mind While Trade is On ….I Admire Bharat’s Sincere Efforts for Helping Traders. I am very thankful to Bharat sir for sharing his knowledge through Bolinger Band webinar. The webinar took me to the new level of learning to trade the markets. It provided several new techniques which are unique and precious. I had to pick and choose selected few from the webinar techniques (out of many) for my trading. Remaining I decided to continuously learn and practice and have it available for future use in my trading. I realized, my knowledge on Bollinger bands was useless after the webinar. Now I feel like a Pro trader with this knowledge. Seriously, using just one technique out of all the other techniques we can recover the cost of this training with few trades only. I Thank you, again and again, Bharat sir. You are awesome and keep rocking. God bless you. I wanted to write so much; Let me try to comprehend as much as I could. I have been following you via the blog and twitter for so long, Since you were actively practising and posting on Elliot wave theories on long time frame on a weekly or monthly basis. As I was very much obsessed by the wave principle/theories, that’s where we got connected. After so long drive down, I was looking for a master who could clear the mental obstacle and illuminate the mind with methods and discipline. Finally I’m here, the joining of the gurukula, that’s what i feel as much for our PIT services. Even though there’s no formal training, Its a way to being connected and understanding of screening principles to some extent from your daily posts. It’s been a wonderful association since February via #THEPIT. I’m not a day trader or regular/proactive trader. However, I aspire to join the elite day scholars of the market quite soon. I have been nudging you for the training for a while and there comes the opportunity to learn from the master. I don’t have to say much to your quality of training. Let me try to put them on few simple words. I’m looking forward to learn more from you Bharatji. The likes of RSI training is one and anything that you wish to pass on from your learning to your pupil’s #ThePit. Thanks for your time. Happy to be part of the learning flocks ??? ?